Australia's Leading Supplier of Terminals ! Enterprises spend billions of dollars each year to ensure that their desktop computer systems are secure, reliable, and agile. Wyse elegantly, easily, and affordably eliminates most of these problems and expenses. 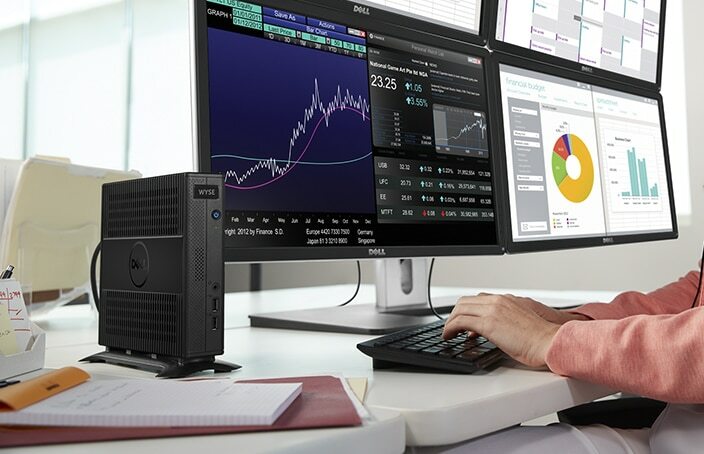 Wyse Thin Clients are the leading thin-computing solution worldwide. Our thin clients run Windows, Java, Linux, UNIX, and web-based applications safely on central servers using a thin computing protocol such as Microsoft Terminal Services or Citrix Xenapp. Applications do not traverse the network and are not downloaded to the thin client, eliminating the security and bandwidth issues common with traditional PCs and desktops. Wyse accessories and add-ons are the simplest, most powerful way to improve the management and functionality of Wyse Thin Clients. With these additional products, administrators can provide users with expanded security and performance. Try the ZERO Clients, ZERO Delays, ZERO Management, ZERO Security Issues, ZERO Energy Use (Almost), ZERO Compromise User Experience ! Just Plug & play out of box. Replace PC's with LOW COST Thin Client Terminals today ! Discounts for Multiple Unit Purchases ! All trade marks & registered trade marks are the property of their respective owners. All prices shown on thewyseguys.com.au website are in $AUD and inclusive of GST. Prices and availability are subject to change without prior notice. Images displayed are accurate to the best of our knowledge and we will not be held responsible for purchases based soley on these images. The Wyse Guys is Trading as Comsys Networks Group and ships to almost anywhere in Australia and Internationally. © The Wyse Guys 2013 All rights reserved. www.thewyseguys.com.au is a source for Clearance Stock, New and Demo, Pre owned & Obsolete Remanufactured Refurbished Terminals equipment and spares. Also Skyterm Cloud PC Technology We specialize in buying and selling new and used & refurbished thin client terminals and accessories, monitors,cables and guarantee the fastest delivery in Australia on all Wyse Terminal Equipment New or Used. We are not in any way affiliated with Wyse or any other manufacturer. We sell mostly new and Pre-Owned hardware and do not sell licensed software of any kind. Please refer to Terms & Conditions of Sale.